Menu based props are ones that fit in with the dish and contribute to the story that you are trying to tell. 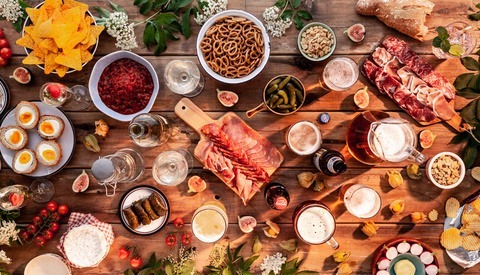 They can be ingredients that are used in the dish, the final dish itself, or other dishes that will be served with the subject. If you were eating the subject at home or a restaurant, what would make sense to have with it? Shooting a cocktail? Having an ice bucket, cocktail shaker, and tray of garnishes are all items that could be around. What about a seasonal subject like cranberry sauce? This is commonly associated with Thanksgiving, so it wouldn't be out of place to have your cranberry sauce on a table with a Turkey in the background. The most common mistake made with adding props is using props that don't make sense with the dish. 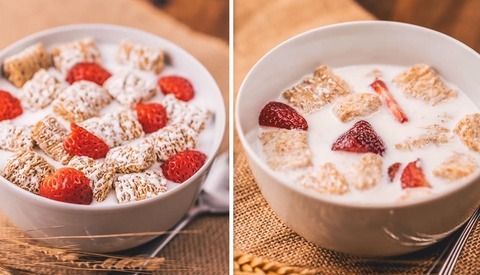 This can be adding herbs that don't fit the flavor profile, or filling up your set with bowls, antique spoons, or other items you might like, but don't really add anything to the image. When using a menu-based prop, you avoid this by only selecting from items that are a part of or directly related to the dish. Most of the time a subject is interesting enough to stand on its own in an image and doesn't need a prop to tell a story. Here is an example of a shot that works well with and without propping. 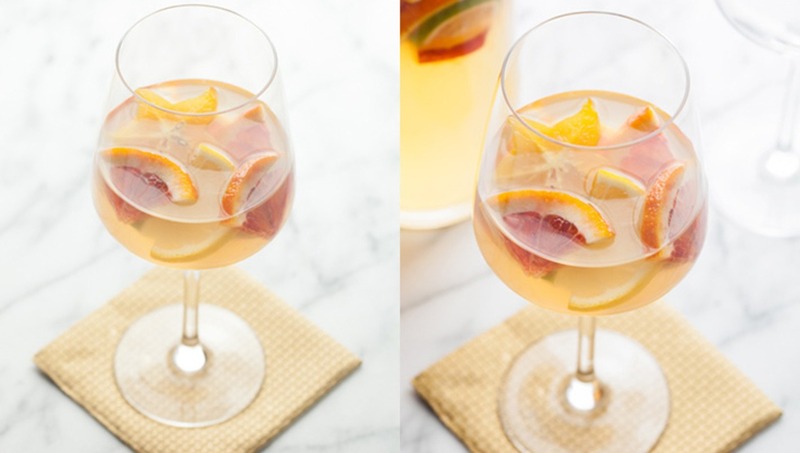 Above are two shots of a glass of Sangria. 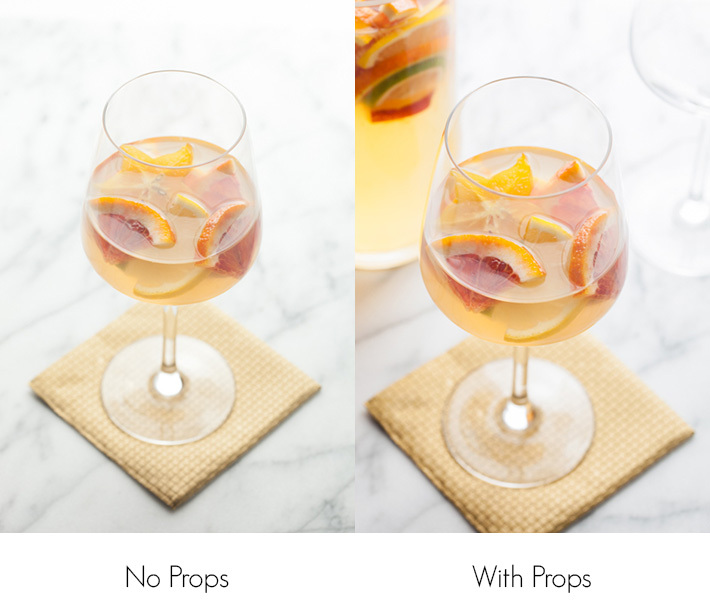 The image on the left is a solo shot of just the glass. The image of the right has been propped with a pitcher of additional Sangria and an additional glass. The recipe makes 8 servings, so it isn't out of place to include a larger container of the additional Sangria and an extra glass ready for filling. With a beverage like this, either shot could work well. The option on the left has plenty of negative space that could be useful for an Art Director to add in text. Other Art Directors prefer the image on the right for the sense of place and the environment it creates. Which do you prefer? 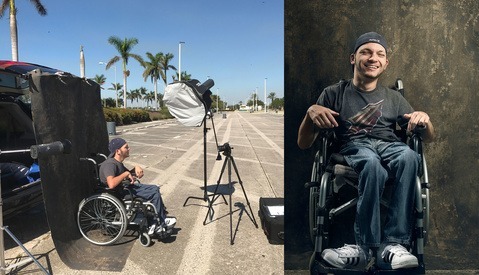 There are times when your subject isn't incredibly interesting and will need the use of props to help grab your viewer's attention and communicate what the subject is. Sauces and condiments are the most common recipes that will need this propping help. Above is an example of a barbecue sauce. 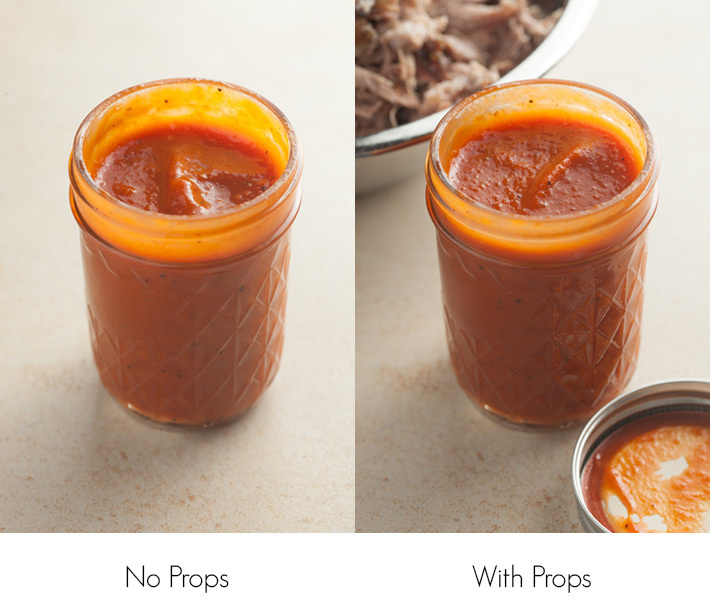 On the right is the solo shot of the sauce without any props. On the right is the same sauce with the jar lid and a bowl of chopped barbecue pork in the background. Alone, the jar of sauce isn't very interesting. Adding the lid and bowl of barbecue help add interest to the frame and contribute to the story of the image. With the props, it looks like the sauce is about to be poured over the meat for a delicious barbecue sandwich. Above is a tartar sauce that was created as a condiment for a fried seafood basket. The client wanted a picture of the sauce for the recipe, but the sauce in a bowl by itself doesn't tell much of a story. 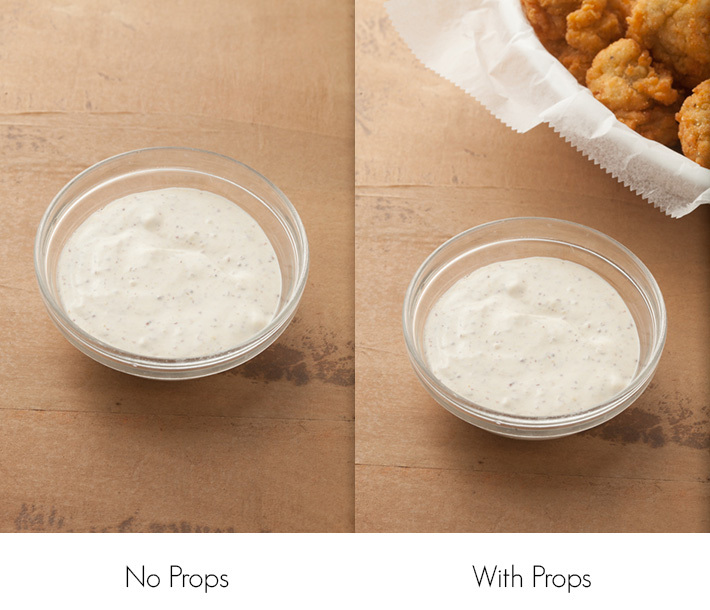 On the right, the sauce has been propped with a basket of fried oysters. With the props added, it tells a little more of a story than just the sauce surrounded by negative space. To prop or not to prop is a decision that you will face with every shot. Sometimes your client will make the decision based upon the image's intended final use. If the decision is left up to you, stick with props that are menu based and will help set the scene. As you develop your shooting style, you will find props and placements that work best for you. Enjoy shooting and experimenting with props in your images. For more food photography tips, tricks, and tutorials, check out issues 1-8 of photographing FOOD.